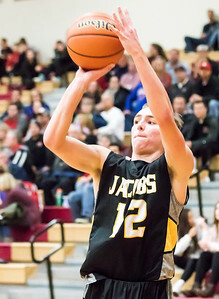 Sarah Nader- snader@shawmedia.com Jacobs' Cooper Schwartz shoots a 3-pointer during the third quarter of Wednesday's away game against Huntley Nov. 30, 2016. Jacobs' won, 70-32. Sarah Nader- snader@shawmedia.com Jacobs' Cameron Krutwig shoots a basket during the third quarter of Wednesday's away game against Huntley Nov. 30, 2016. Jacobs' won, 70-32. 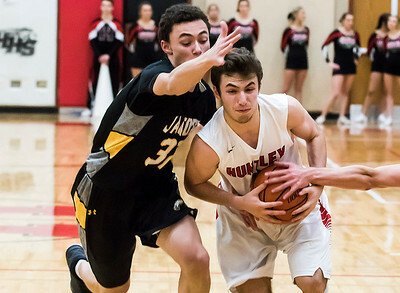 Sarah Nader- snader@shawmedia.com Jacobs' Nikolas Balkcom (left) guards Huntley's Mathew Seng during the second quarter of Wednesday's game in Huntley Nov. 30, 2016. 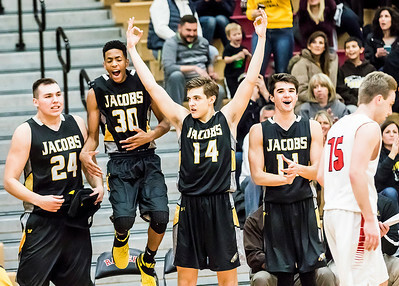 Jacobs' won, 70-32. 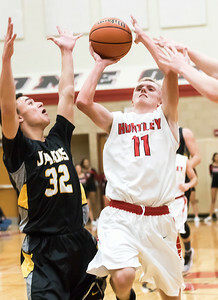 Sarah Nader- snader@shawmedia.com Huntley's Brett Bigden shoots a basket during the first quarter of Wednesday's home game against Huntley Nov. 30, 2016. Jacobs' won, 70-32. Sarah Nader- snader@shawmedia.com Jacobs' Cameron Krutwig (center) passes the ball during the first quarter of Wednesday's away game against Huntley Nov. 30, 2016. Jacobs' won, 70-32. 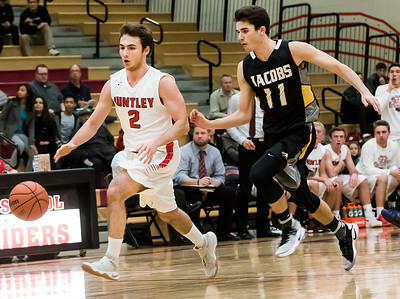 Sarah Nader- snader@shawmedia.com Huntley's Mathew Seng (left) is guarded by Jacobs' Jack Nickoley while he dribbles towards the basket during the first quarter of Wednesday's game in Huntley Nov. 30, 2016. Jacobs' won, 70-32. 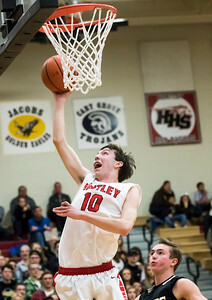 Sarah Nader- snader@shawmedia.com Jacobs' Nikolas Balkcom (left) guards Huntley's Cory Knipp while he shoots a basket during the second quarter of Wednesday's game in Huntley Nov. 30, 2016. Jacobs' won, 70-32. Sarah Nader- snader@shawmedia.com Jacobs' Cameron Krutwig (left), Kameron Mack, Ryan Phillips and Jack Nickoley cheer on the basketball team during the fourth quarter of Wednesday's away game against Huntley Nov. 30, 2016. Jacobs' won, 70-32. 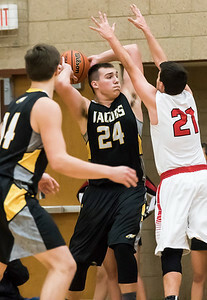 Jacobs' Nikolas Balkcom (left) guards Huntley's Mathew Seng during the second quarter of Wednesday's game in Huntley Nov. 30, 2016. 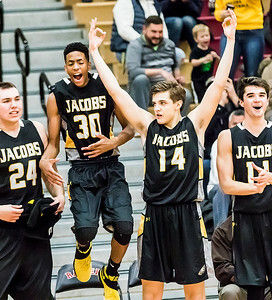 Jacobs' won, 70-32.